New book, 320 pages. In the pantheon of Amerca's founders, there were many outstanding individuals. And yet each of them - Jefferson, Franklin, Hamilton, Adams, Madison - acknowledged Washington to be his superior, the one and only 'Excellency'. Drawing on the newly catalogued Washington papers at the University of Virginia, Joseph J. Ellis paints a full portrait of the man's life and career - from his military years through his two terms as President. 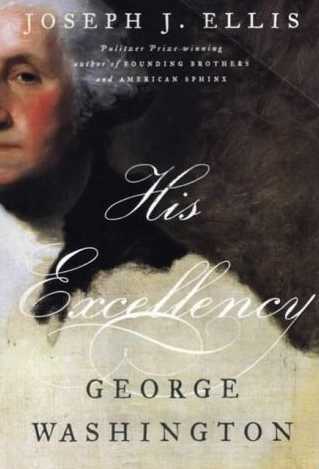 In meticulous detail and lyrical prose, this book has given Washington the biography that his stature demands. This item was added to our catalog on Saturday 21 February, 2009.